Gemini Forest Products has been supplying material for the Aerospace industry for over 30 years. Our inventory includes over 2 million board feet of lumber and plywood withspecies ranging from Douglas and Hemlock Firs to Ponderosa and Sugar Pines. 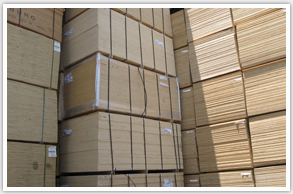 Our lumber is kiln-dried and heat treated to ensure quality. We offer same and next day delivery by truck. Gemini Forest Products has been working with the Aerospace Service Industry for over 30 years, which gives us the knowledge & ability to provide our customers with the most competitive pricing. We take pride in building long term relationships with our customers and suppliers to deliver quality industrial wood products with our one-on-one service you expect and deserve. Through our relationships we have proven our commitment to quality, service and dependability.